The subunit structure of the B-cell antigen receptor (BCR) and its associated compart-mentalization of function confer enormous flexibility for generating signals and directing these toward specific and divergent cell fate decisions. 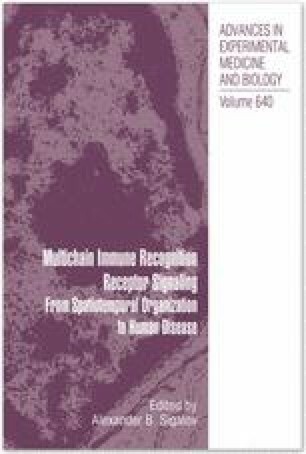 Like all the multichain immune recognition receptors discussed in this volume, assembly of these multi-unit complexes sets these receptors apart from almost all other cell surface signal transduction proteins and affords them the ability to participate in almost all of the diverse aspects of, in this case, B-cell biology. We discuss here the structural aspects of the BCR and its associated coreceptors and relate these mechanistically to how BCR signaling can be directed towards specific fate decisions. By doing so, the BCR plays a pivotal role in ensuring the effective and appropriate B-cell response to antigen.